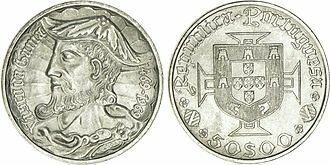 Volgograd (Russian: Волгогра́д, IPA: [vəɫɡɐˈɡrat] ( listen)), formerly Tsaritsyn (Russian: Цари́цын​ (help·info)), 1589–1925, and Stalingrad (Russian: Сталингра́д​ (help·info)), 1925–1961, is an industrial city and the administrative centre of Volgograd Oblast, Russia. The city lies on the western bank of the Volga River. The Battle of Stalingrad in World War II was one of the largest and bloodiest battles in the history of warfare. Known locally as the "Hero City", it is home to The Motherland Calls, an 85 meter statue dedicated to the heroes of the battle. 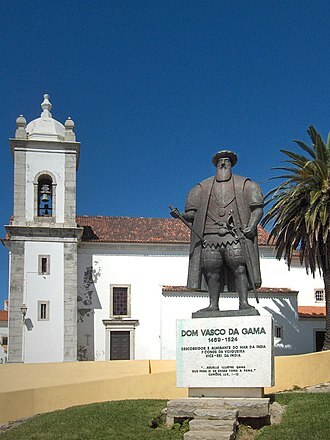 The city also has many tourist attractions, such as museums, sandy beaches, and a self-propelled floating church. Its population was 1,021,215 at the 2010 Census, growing from 1,011,417 in the 2002 Census. 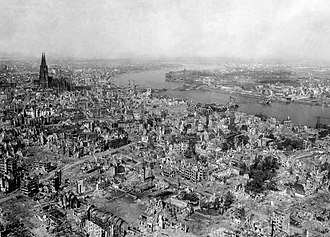 ^ a b "Russia revives Stalingrad city name". The Daily Telegraph. 2013-01-31. Retrieved 2013-02-07. ^ "Stalingrad name to be revived for anniversaries". BBC News Online. 2013-02-01. Retrieved 2013-02-07. ^ Arkady Irshenko (October 21, 2013). "5 killed in Russia bus explosion; suicide bombing suspected". Cable News Network (CNN). Retrieved 2013-10-21. ^ "Blast kills bus passengers in Russia". Al Jazeera America. October 21, 2013. Retrieved 2013-10-21. ^ "6 dead as female suicide attacker explodes bomb on Russian bus". Fox News Network. October 21, 2013. Retrieved 2013-10-21. ^ Europa Publications (26 February 2004). "Southern Federal Okrug". The Territories of the Russian Federation 2004. Taylor & Francis Group. p. 174. Retrieved 4 March 2017. The Oblast's administrative centre is at Volgograd. ^ Иванов открыл в Волгограде самый большой мост в Европе (in Russian). Vesti. Retrieved 2011-02-09. ^ "Volgograd, Russia Köppen Climate Classification (Weatherbase)". 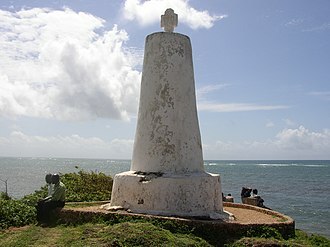 Weatherbase. Retrieved 2018-11-13. 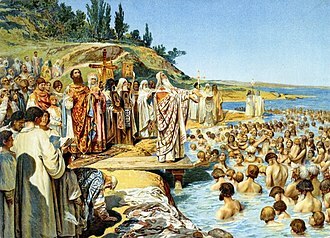 ^ Россия. "Волгоградский государственный медицинский университет (ВолгГМУ)". Volgmed.ru. Retrieved 2011-09-15. ^ "Internet Archive Wayback Machine". Web.archive.org. 2007-06-27. Archived from the original on June 27, 2007. Retrieved 2011-09-15. 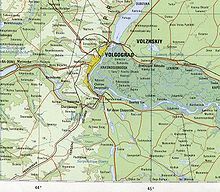 ^ "VISIT VOLGOGRAD - RUSSIA - WELCOME TO THE CITY - THE HERO VOLGOGRAD!". 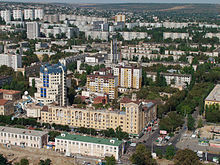 www.visitvolgograd.info. Retrieved 2010-01-05. ^ Pessotto, Lorenzo. "International Affairs - Twinnings and Agreements". International Affairs Service in cooperation with Servizio Telematico Pubblico. 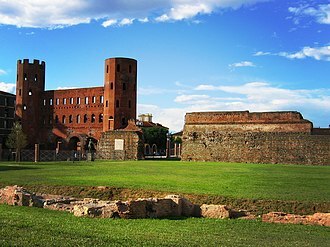 City of Torino. Archived from the original on June 18, 2013. Retrieved 2013-08-06. ^ "Yerevan - Partner Cities". Yerevan Municipality Official Website. City of Yerevan. Retrieved 2016-07-02. Yerevan is the capital and largest city of Armenia as well as one of the worlds oldest continuously inhabited cities. Situated along the Hrazdan River, Yerevan is the administrative, cultural and it has been the capital since 1918, the thirteenth in the history of Armenia, and the seventh located in or around the Ararat plain. The history of Yerevan dates back to the 8th century BC, Erebuni was designed as a great administrative and religious centre, a fully royal capital. During the centuries long Iranian rule over Eastern Armenia that lasted from the early 16th century up to 1828, in 1828, it became part of Imperial Russia alongside the rest of Eastern Armenia which conquered it from Iran through the Russo-Persian War between 1826 and 1828. After World War I, Yerevan became the capital of the First Republic of Armenia as thousands of survivors of the Armenian Genocide in the Ottoman Empire settled in the area, the city expanded rapidly during the 20th century as Armenia became part of the Soviet Union. 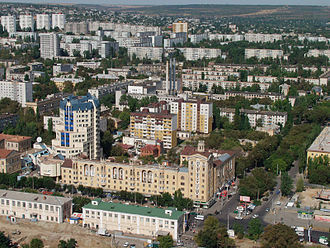 As of 2011, the population of Yerevan was 1,060,138, according to the official estimate of 2016, the current population of the city is 1,073,700. Yerevan was named the 2012 World Book Capital by UNESCO, Yerevan is an associate member of Eurocities. One theory regarding the origin of Yerevans name is the city was named after the Armenian king, Yervand IV, the last leader of the Orontid Dynasty, and founder of the city of Yervandashat. However, it is likely that the name is derived from the Urartian military fortress of Erebuni. 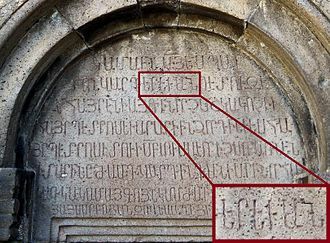 As elements of the Urartian language blended with that of the Armenian one, while looking in the direction of Yerevan, after the ark had landed on Mount Ararat and the flood waters had receded, Noah is believed to have exclaimed, Yerevats. In the late medieval and early periods, when Yerevan was under Turkic and Persian rule. This name is widely used by Azerbaijanis. 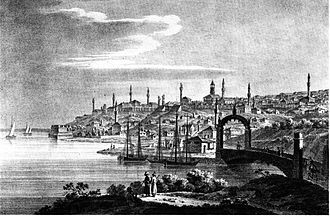 The city was known as Erivan under Russian rule during the 19th. 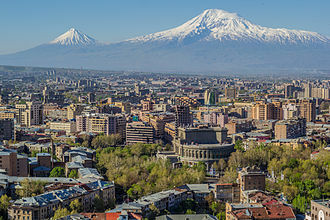 The city was renamed back to Yerevan in 1936, up until the mid-1970s the citys name was spelled Erevan, more often than Yerevan, in English sources. Kemi is a town and municipality of Finland. It is located very near the city of Tornio and it was founded in 1869 by decree of Russian Emperor Alexander II because of its proximity to a deep water harbour. Kemi is situated by the Bothnian Bay, at the mouth of river Kemijoki, the town has a population of 21,766 and covers an area of 95.38 square kilometres of which 652.1 km2 is water. The population density is 228.3 inhabitants per square kilometre, the main economic activity in Kemi is centred on two large paper and woodpulp mills and on the only chromium mine in Europe. A polytechnic university of applied sciences is situated in Kemi, Kemi has a claim to fame as the home of the worlds largest snow castle. The snowcastle is usually located at the harbour of Kemi. A model of The Crown of Finland is kept in the towns gemstone gallery and it houses replicas of the Imperial State Crown of Great Britain, the Sceptre of the Czar of Russia, the Orbs of Denmark and the diamond necklace of Marie Antoinette, among other items. 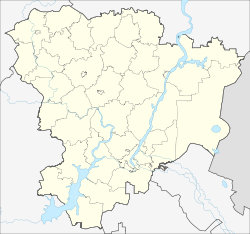 Jilin City Is the second-largest city and former capital of Jilin province in Northeast China. As of the 2010 census,4,413,517 people resided within its area of 27,166.37 square kilometres and 1,975,121 in its built-up area consisting of four urban districts. A prefecture-level city, it is the major city nationally that shares its name with its province. Jilin City is known as the River City because of the Songhua River surrounding much of the city, in 2007, it co-hosted the Asian Winter Games. Jilin City is among one of the oldest cities in Northeast China, the ancestors of the Manchu people lived there before the Qin dynasty. During the reign of the Yongle Emperor in the Ming dynasty, mighty river fleets were built and sailed several times from Jilin City, getting the chieftains of the local tribes to swear allegiance to the Ming rulers. 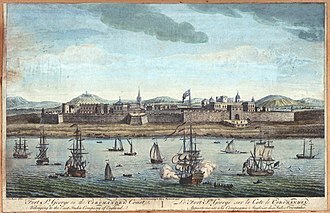 Soon after the establishment of the Manchu-led Qing dynasty, the territory of todays Primorsky Kray was put under the administration of Jilin, as the Russian Empire advanced eastward to the Pacific coast, the Qing government ordered a naval shipbuilding factory to be set up here in 1661. Jilin was officially established as a city in 1673 when Anzhuhu. Since Jilin City has developed at a rapid pace, the nickname of Jilin City is River City, which originates from one sentence 连樯接舰屯江城, of a poem written by Kangxi Emperor when he was visiting Jilin City in 1682. Jilin retained its importance into the 18th and 19th century as one of the few cities existing beyond the Willow Palisade, along with Tsitsihar, after Manchukuo established their capital in Hsinking, Jilin Citys importance decreased. 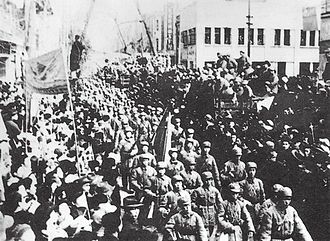 By 1940, Jilins population was 173,624, while Hsinkings population reached 544,202 at the same time, soviet forces captured Jilin during the August Storm operation. Jilin became the capital of Jilin Province after the establishment of the Peoples Republic of China in 1949. Jilin City, which is located in central Jilin Province spanning from 125°40 to 127°56 E longitude, neighbouring prefectures are, Heilongjiang Changchun Siping Yanbian Liaoyuan Tonghua Baishan Jilin City is situated in a hilly area near the Songhua River. Volgograd-Glavny is a major junction railway station of Volgograd in Russia. 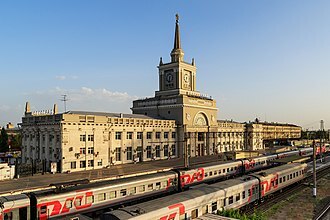 It is located in the Central District of the city at Railway Station Square,1, the station is one of the largest in Russia and serves long-distance trains and suburban trains. The station is the hub for services to five destinations, Rostov-on-Don, Saratov. The first railway to serve Tsaritsyn was the Volga-Don railway in 1862, the first railway station was constructed of wood. In 1871 the station was replaced with a brick structure, during the Second World War, the building was almost completely destroyed in the Battle of Stalingrad. In the period from July 1951 to May 1954 the new building was erected just north of the old building. At the site of the building is now the Volgograd branch of the Volga Railroad. The station commissioned June 2,1954, in 1997 the building of the railway station was designated an architectural monument. In 2005, the building was renovated for the 60th anniversary of Victory Day. On December 29,2013, the station was the site of a bombing in which at least 16 people were killed. Chengdu, formerly romanized as Chengtu, is a sub-provincial city which has served as capital of Chinas Sichuan province. It is one of the three most populous cities in Western China, as of 2014 the administrative area houses 14,427,500 inhabitants, with an urban population of 10,152,632. At the time of the 2010 census, Chengdu was the 5th-most populous agglomeration in China, with 10,484,996 inhabitants in the area including Xinjin County. The surrounding Chengdu Plain is known as the Country of Heaven and its prehistoric settlers included the Sanxingdui culture. It was the capital of Liu Beis Shu during the Three Kingdoms Era, after the fall of Nanjing to the Japanese in 1937, Chengdu briefly served as the capital of China. It is now one of the most important economic, commercial, transportation, Chengdu Shuangliu International Airport is one of the 30 busiest airports in the world, and Chengdu Railway Station is one of the six biggest in China. Chengdu hosts many international companies and more than 12 consulates, more than 260 Fortune 500 companies have established branches in Chengdu. In 2006, China Daily named it Chinas 4th-most-livable city, the name Chengdu is attested in sources going back to shortly after its founding. The present spelling is based on pinyin romanization, its Postal Map romanization was Chengtu and its former status as the seat of the Chengdu Prefecture prompted Marco Polos spellings Sindafu, Sin-din-fu, &c. and the Protestant missionaries romanization Ching-too Foo. Although the official name of the city has remained constant, the area has sometimes taken other names. The city logo adopted in 2011 is inspired by the Golden Sun Bird excavated from the Jinsha Ruins, archaeological discoveries at the Sanxingdui and Jinsha sites have established that the area surrounding Chengdu was inhabited over four thousand years ago. At the time of Chinas Xia and Zhou dynasties, in the early 4th century BC, the ninth king of Shus Kaiming dynasty relocated from nearby Pi County, giving his new capital the name Chengdu. Shu was conquered by Qin in 316 BC and the settlement refounded by the Qin general Zhang Yi, under the Han, the brocade produced at Chengdu became fashionable and was exported throughout China. From top to bottom, left to right: Konak in İzmir, Historical Elevator in Karataş, Pasaport Wharf in İzmir, Gündoğdu Square, İzmir Clock Tower in Konak Square, A view of the city from Historical Elevator, Karşıyaka. A view of Ortona from the sea. The first private bank in Bulgaria — „Girdap"
The archaeological site of Jinsha is a major discovery in Chengdu in 2001. The Dujiangyan Irrigation System built in 256 BC still functions today. View of the station from the bridge.